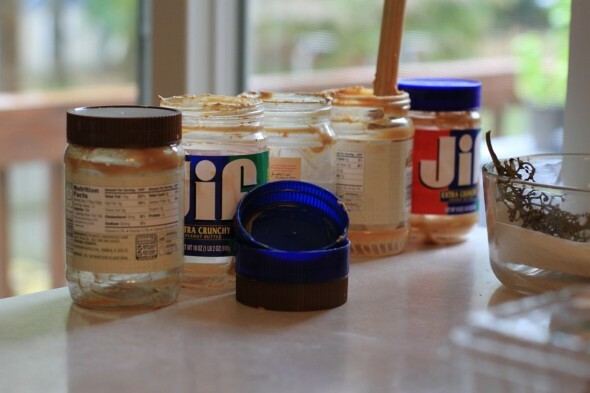 Have you ever gone to the cupboard or refrigerator for something, maybe it was peanut butter or chocolate syrup or milk, only to find the container empty or near empty? A. See there’s a little left and go buy a new jar before it’s gone? B. See there’s a little left, but wait until it’s all gone and do without until you can go buy more? D. Not notice how much is there at all? A. I don’t believe there is a God. B. I have plenty of time. I’ll wait. C. I believe in reincarnation. D. I’m a good person. God wouldn’t send me to hell. E. I was confirmed in my church. I don’t need to do anything else. F. Jesus is my Savior and my Lord. Eternity isn’t like a bad case of measles or the flu. Eternity doesn’t end. God loves YOU so much! He doesn’t want you to miss out on heaven and spending it with Him. Prepare early. GOOD MORNING GOD– a collection of scriptures to begin your day. Feel free to download the pamphlet for your use and to share. Special thanks to http://www.thefrugalgirl.com for use of her picture. This entry was tagged God, heaven, Jesus, peanut butter. Bookmark the permalink.